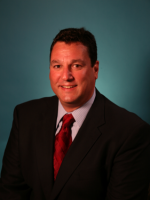 Mr. Molnar is the Chief Executive Officer and founder of POPIC and Alta Holdings, LLC. He is a certified public accountant with over 30 years of experience. He has been instrumental in the formation and management of over 200 captive insurance companies. Mr. Molnar has developed risk shifting and risk distribution pools for middle market companies that have been approved for individual participants in the form of private letter rulings. He has also structured some of the largest reinsurance transactions and Loss Portfolio Transfers for his clients. Mr. Molnar began his career with KPMG in Los Angeles prior to joining E&Y and E&Y Kenneth Leventhal and Company where he specialized in Real Estate consulting and taxation. He relocated to Orange Country where he served as director of Management Advisory Services for one of the largest regional accounting firms eventually spinning off and founding his own firm. Bruce has authored and co-authored numerous articles and is a frequent lecturer. Bruce graduated from The University of Southern California with a B.S. in Business and Accounting. He is a member of the California Society of Certified Public Accountants. 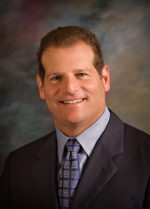 Mr. Rousso is the President and General Counsel of POPIC and Alta Holdings, LLC. Mr. Rousso has over 25 years of experience in the legal and accounting fields specializing in sophisticated insurance, business and commercial transactions, including executive management positions with a property and casualty insurance company and life insurance companies. Mr. Rousso has extensive experience in sophisticated business and commercial law, including business transactions, complex business and civil litigation, insolvency, and bankruptcy structures. Mr. Rousso served as Executive Vice President and General Counsel for a property and casualty insurance company, life insurance companies, and related investment and holding companies where he was responsible for transactional, planning and operations, including administration, tax planning, financial statement preparation, and audit functions. Mr. Rousso has served as Vice President in the public finance division of a boutique investment banking firm, where he was second in command of crisis management and turnaround consulting. 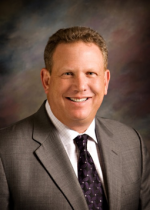 Paul serves the Executive Vice President of POPIC and Alta Holdings , LLC. Paul’s expertise includes the structuring and formation of captive insurance companies and insurance consulting. He has been instrumental in the formation and management of over 100 captive insurance companies. Prior to entering the insurance management business, he had 25 years of experience as a partner in a national public accounting firm including years of specialization in areas such captive insurance companies, life insurance consulting and estate and succession planning. Paul’s experience includes planning for privately held companies and high net worth individuals. He has conducted consulting projects for clients in many industries including manufacturing/distribution, high tech, real estate, construction, contracting, hospitality, financial services, oil and gas. Paul has authored and co-authored numerous articles on tax planning and is a frequent lecturer. Still have questions? Let’s get in touch.